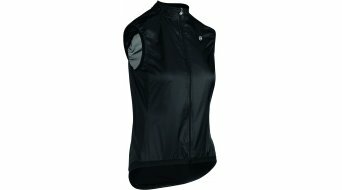 This women-specific shell vest, which is reduced to the essentials, comes in a precisely fitting shape and offers optimal protection against the elements at a reasonable price. The sleeveless design is made from our ultra-textile Foil, which has already proven its worth in Assos' important shells from the entire year's collections. The side panels have their own windproof glossy for extra comfort. 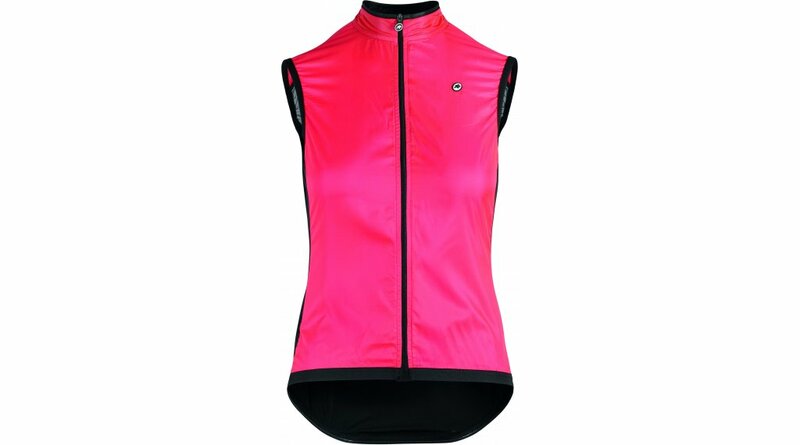 The revised two-ply collar construction improves elasticity and comfort while cycling. This tech-savvy design and construction has one purpose: to create a stowable, ultra-light shell vest that's perfect for the body as well as the trouser pocket. 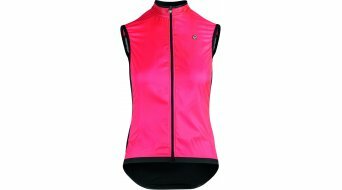 From now on you can enjoy the fresh mountain runs and the cool, early morning hours, because you can rely on this vest. When you no longer need the vest, it folds up and tucks away easily. 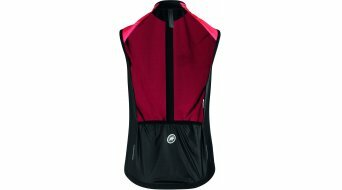 Thanks to our redesigned long-haul design, this indispensable windproof, lightweight shell vest delivers maximum performance. It provides important protection with minimal volume. 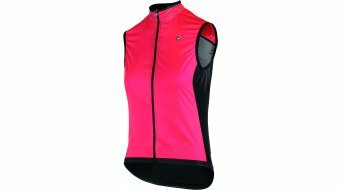 Ideal for daily rides where you need reasonable protection. The shell vest is now available in two attractive colors and will certainly be your favorite. The model was designed for adequate protection during the colder months. Even if there are still summers in the calendar, we all experience cool downhill runs or moments when the weather changes. 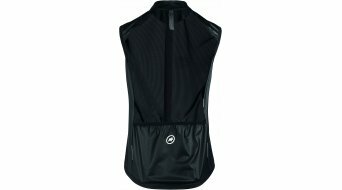 That's why Assos has set itself the goal of offering you a product that delivers optimal performance while still being stored in your jersey pocket when you do not need it. And it can be worn as an extra layer over the skinFoil Baselayer and jersey. Long Distance: A body-hugging performance fit that's not quite as slim as the Aero Racing collection. The best of both worlds, where comfort and speed meet. Foil Ultra: A windproof, water-repellent, lightweight and extremely stretchy ripstop fabric. 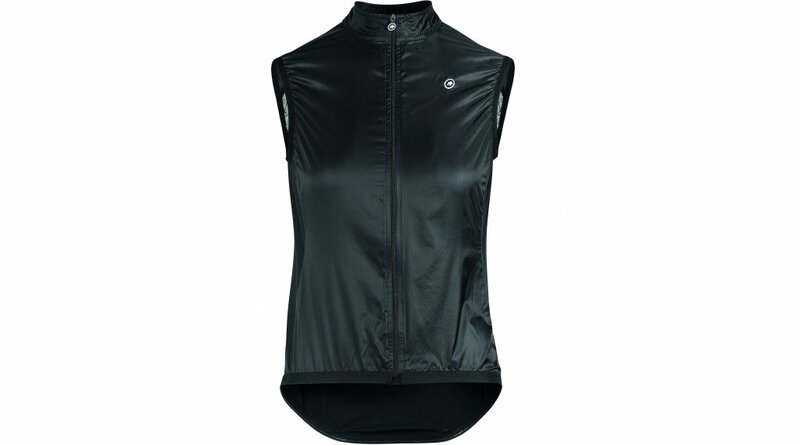 Glossy: This windproof warp knit fabric stands out with side panels that provide stretch and breathability. 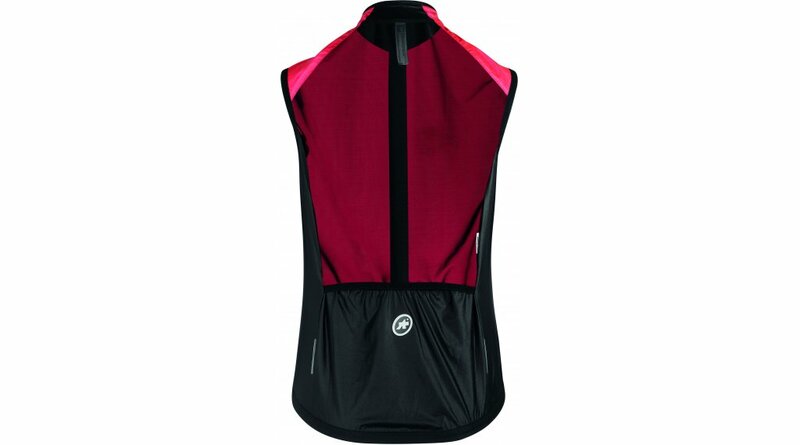 Stretch net: Used at the back of the vest to increase ventilation and improve styling while riding. Rustle-free: This model was made for the highest possible silence from rust-free fabric. DWR: Unfortunately the sun does not always shine, so we have provided this garment with a durable water repellent DWR coating. Visibility: With the divaPink coloring you will be better perceived by the other road users. 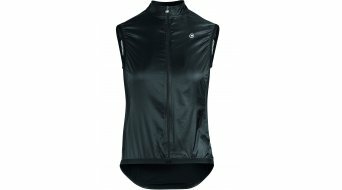 ultra lightweight, ultra packable: As a cyclist, Assos understands the needs and limitations that you face on every trip. The space to carry all the essentials is limited, so people have been working on the lowest weight and compressibility products. Nobody wants to feel like a pack mule on rides in changeable weather conditions. Therefore, Assos strived for the right balance between weight, pack size and performance. The company's concept is to make products that exceed your expectations, so you always have a hedge in place. This concept includes minimal pack size and minimal seams.